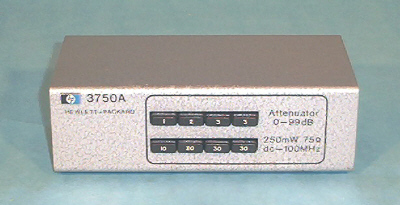 Hewlett Packard 11721A Frequency doubler. 100-2600 MHz output. 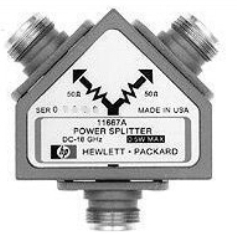 Hewlett Packard 11850A Three way 50 Ohm Power Splitter. 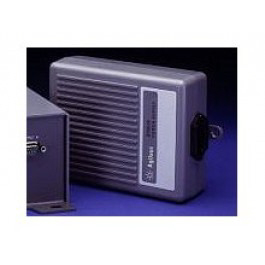 DC-1.3 GHz. Ins. loss 9.5 dB nominal. N(f) connectors. 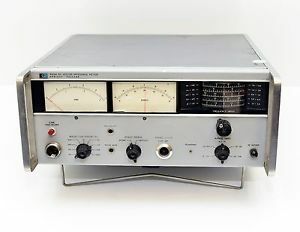 Agilent HP 3750A - 0 - 99 dB step attenuator. 75 Ohm, DC - 100 MHz. 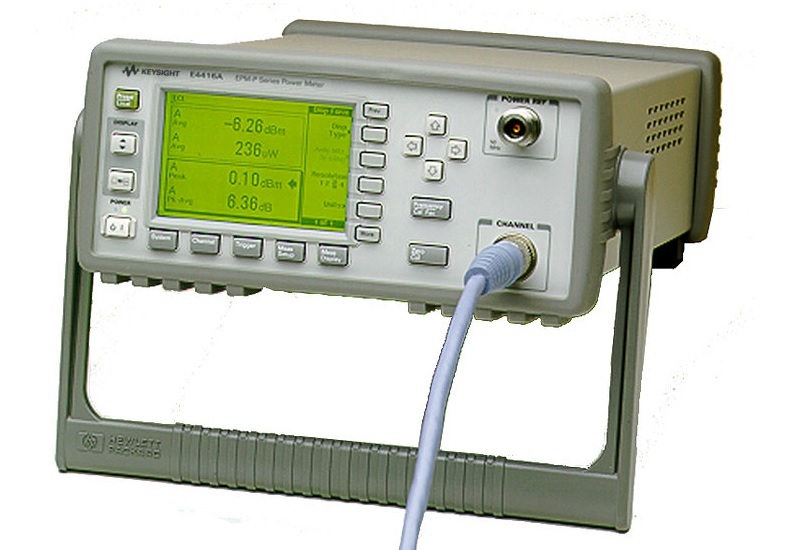 Agilent HP 435A - RF Power Meter. 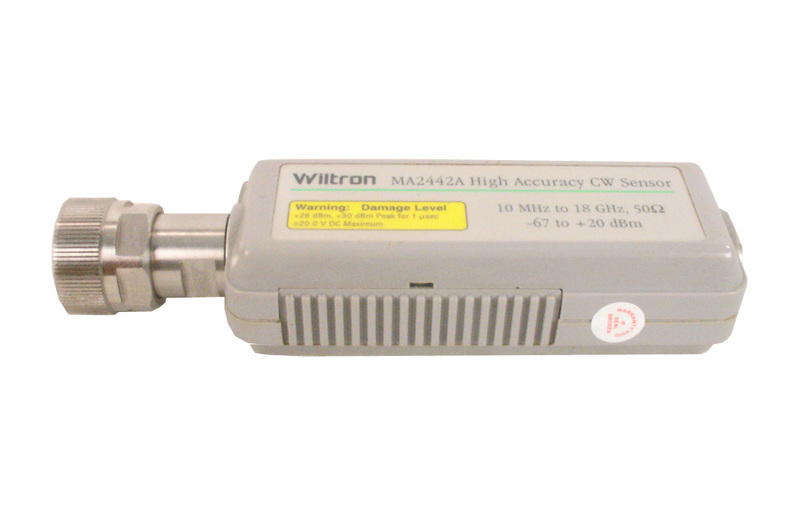 Compatible with the entire series of 8480 power sensors. The sensor cable IS NOT included at this price. 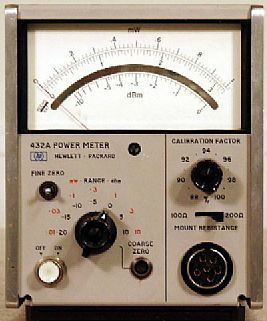 Agilent HP 435B RF Power Meter. 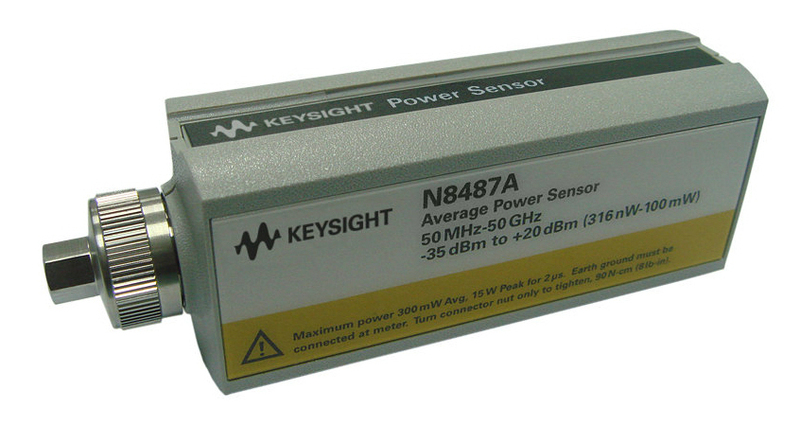 Compatible with the entire series of 8480 power sensors. The sensor cable IS included at this price. 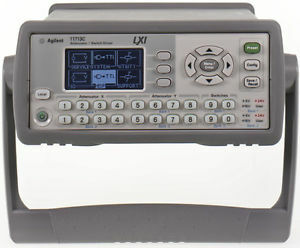 Agilent HP 435B RF Power Meter with internal rechargeable battery pack (Option 001). Includes Sensor Cable. 848X Series Sensors Sold Separately. 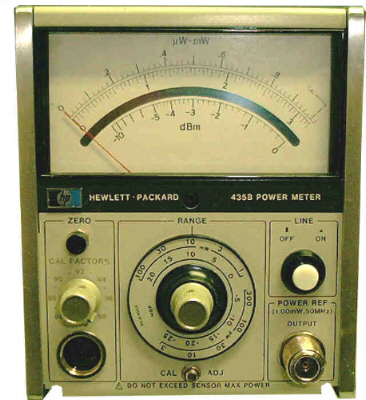 Agilent HP 436A RF Power Meter. 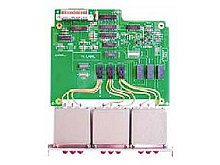 Compatible with the entire series of 8480 power sensors. The sensor cable IS included at this price. 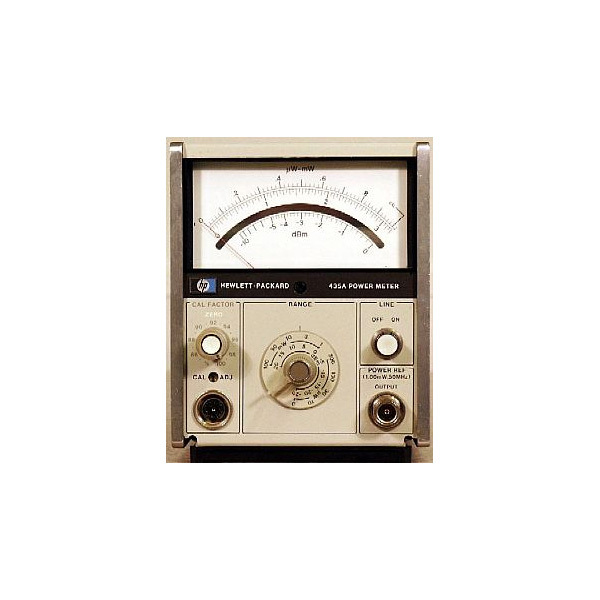 Agilent HP 436A RF Power Meter. 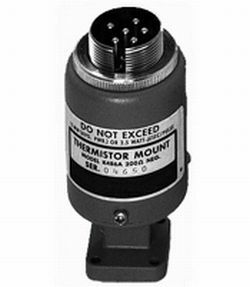 Compatible with the entire series of 8480 power sensors. Read full description please. 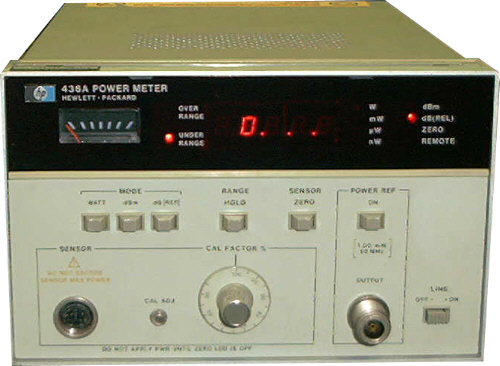 Agilent HP 437B Microwave power meter. 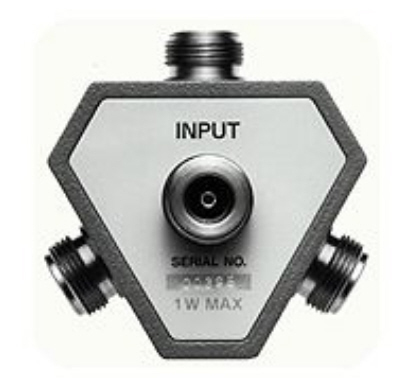 Compatible with 848X-series sensors. Sensor cable sold separately. 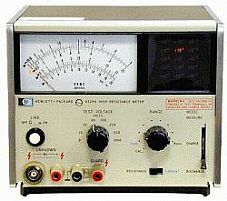 Agilent HP 437B Microwave power meter. Complete with sensor cable. 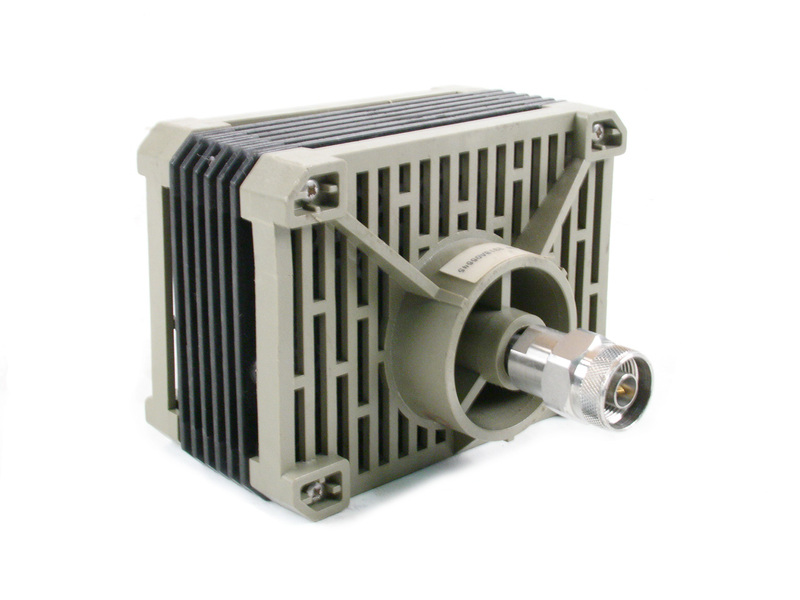 Compatible with 848X-series sensors. 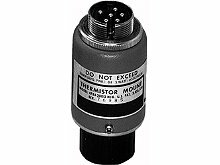 Agilent HP 478A Coaxial Thermistor mount. 10 MHz to 10 GHz. 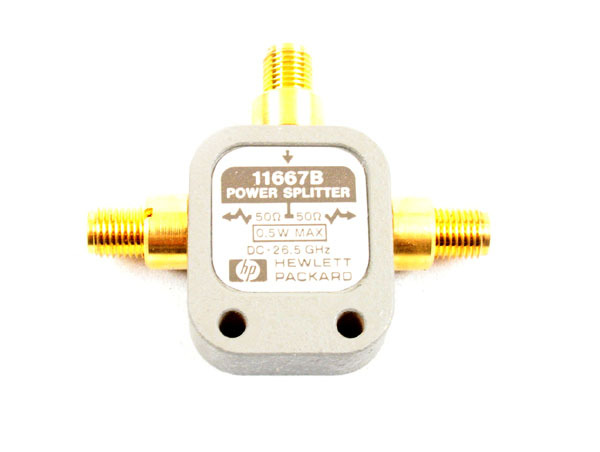 HP Agilent 8481B RF Power Sensor 10MHz to 18GHz, 1mW to 25W. 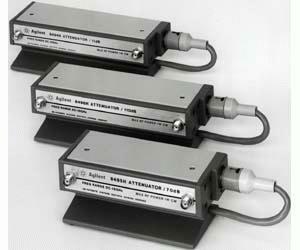 Includes Weinschel 30 dB attenuator instead of the originally supplied Agilent attenuator. 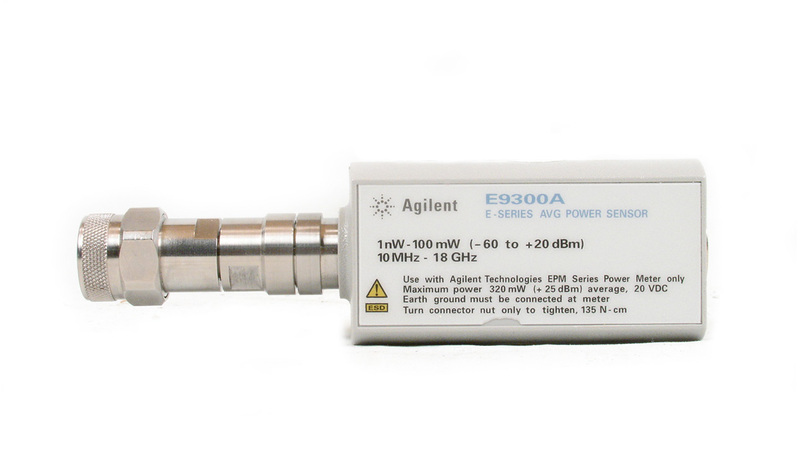 HP Agilent 8482B RF Power Sensor 100kHz to 4.2GHz, 1mW to 25W. 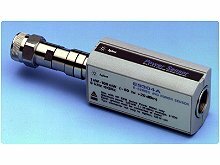 Includes Weinschel 30 dB attenuator instead of the originally supplied Agilent attenuator. Agilent / HP / Keysight 909C 50 Ohm precision termination load. 00909-60003. 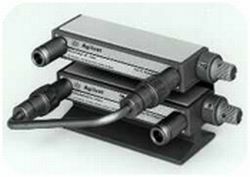 APC-7 Connector. 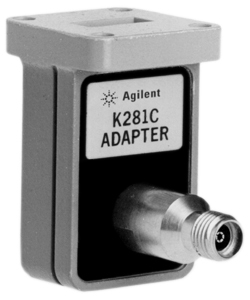 Agilent HP K281C Waveguide Adapter opt 012. 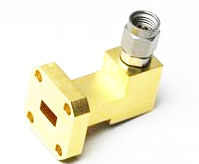 WR-42 waveguide to APC 3.5 mm (male) with 4 alignment holes on waveguide flange. 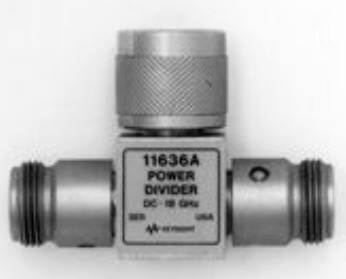 HP Agilent Keysight 11667A - Power Splitter. DC - 18 GHz. 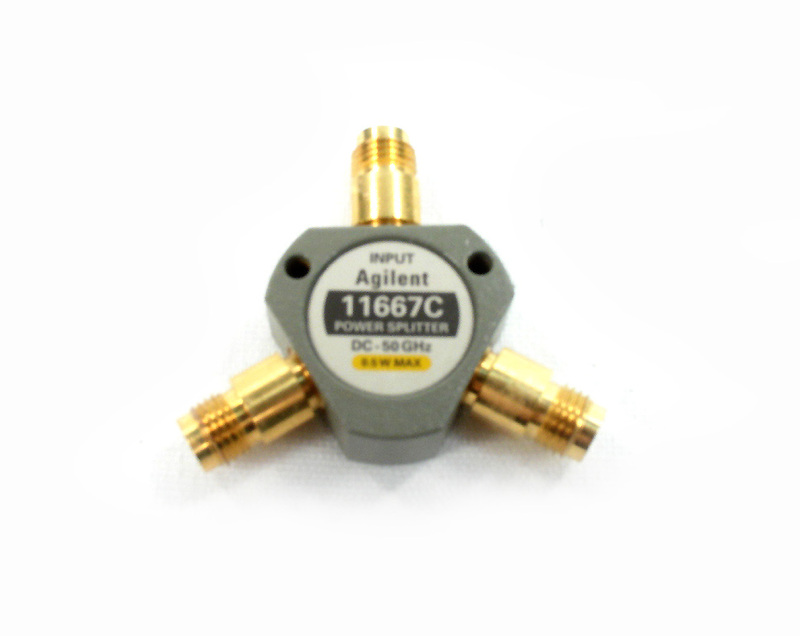 HP Agilent Keysight 11667B Power Splitter. 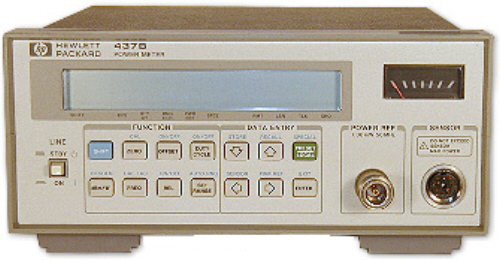 DC - 26.5 GHz. 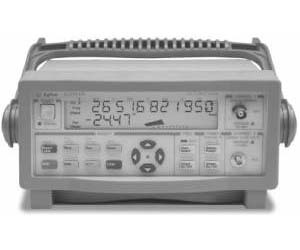 Agilent Keysight 53147A - Portable Frequency Counter / Power Meter / DVM. 10 Hz to 20 GHz. Power Sensors sold separately. 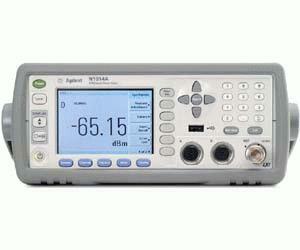 Agilent Keysight 53147A - Portable Frequency Counter / Power Meter / DVM. 10 Hz to 20 GHz. With opt 001 Oven Timebase. Power Sensors sold separately. 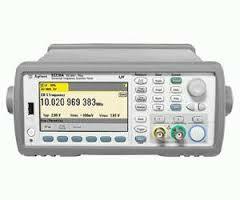 Agilent Keysight 53148A / 001 / 002 Portable Frequency Counter / Power Meter / DVM. 10 Hz to 26.5 GHz. Includes Option 001 Oven Timebase and option 002 internal rechargeable battery. Power Sensor Sold Separately. 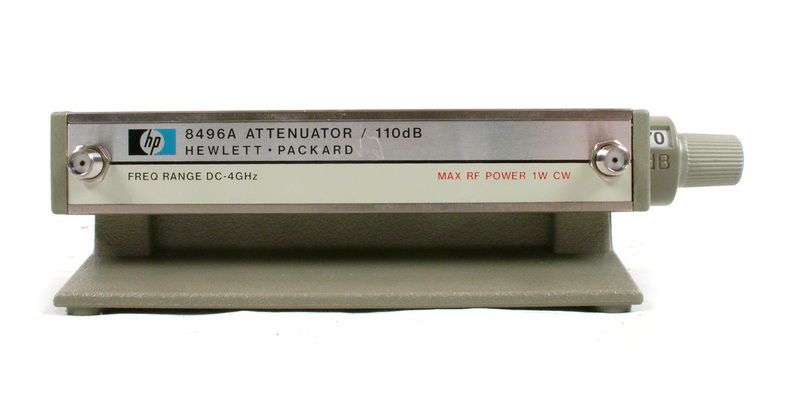 Agilent HP 8493C 10 dB Coaxial Fixed Attenuator. DC to 26.5 GHz. 3.5 MM connectors. 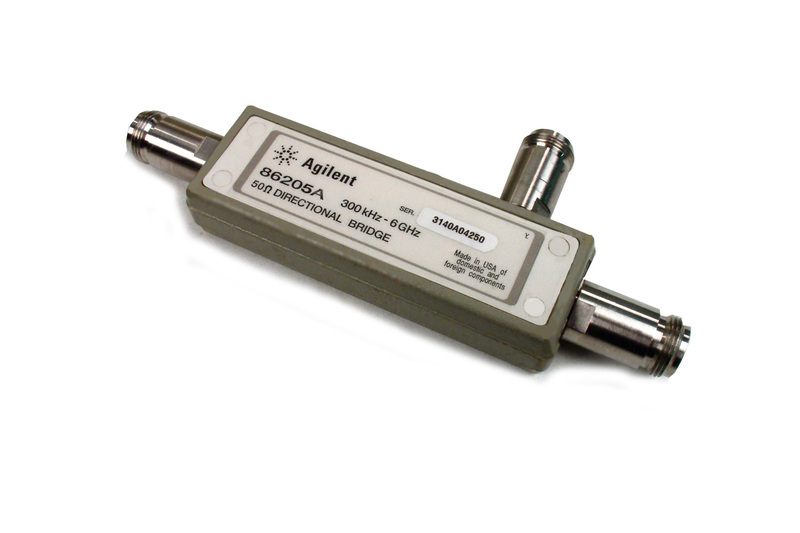 Agilent HP 8493C 20 dB Coaxial Fixed Attenuator. DC to 26.5 GHz. 3.5 MM connectors. 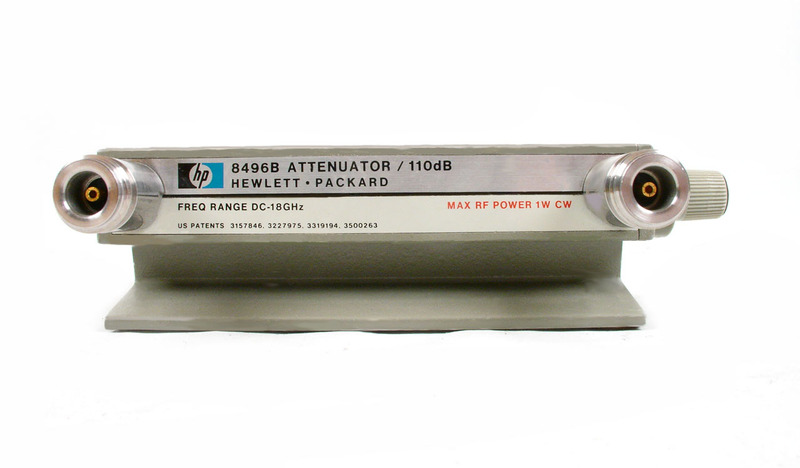 Agilent HP 8493C 3 dB Coaxial Fixed Attenuator. DC to 26.5 GHz. 3.5 MM connectors. 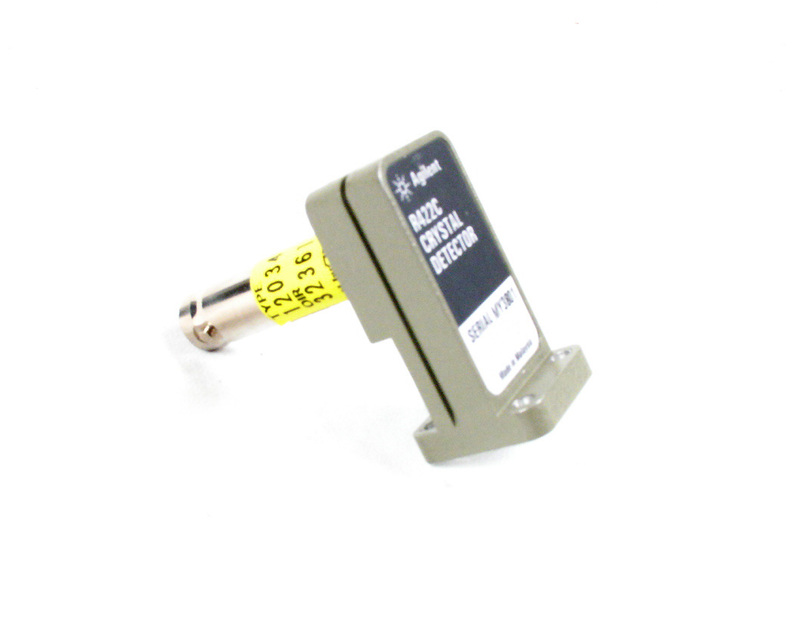 Agilent HP 8493C 30 dB Coaxial Fixed Attenuator. DC to 26.5 GHz. 3.5 MM connectors. Agilent HP 8493C 6 dB Coaxial Fixed Attenuator. DC to 26.5 GHz. 3.5 MM connectors. 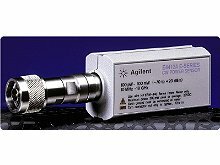 Agilent HP Keysight 8494B / 001 - DC to 18 GHz, 0 - 11 dB, 1 dB steps Coaxial Step Attenuator. Type N connector. 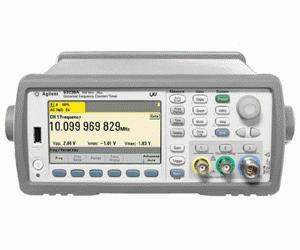 Agilent HP Keysight 8494H / 001- Programmable Step Attenuator, DC to 18 GHz, 0 to 11 dB, 1 dB steps. Type N connectors. 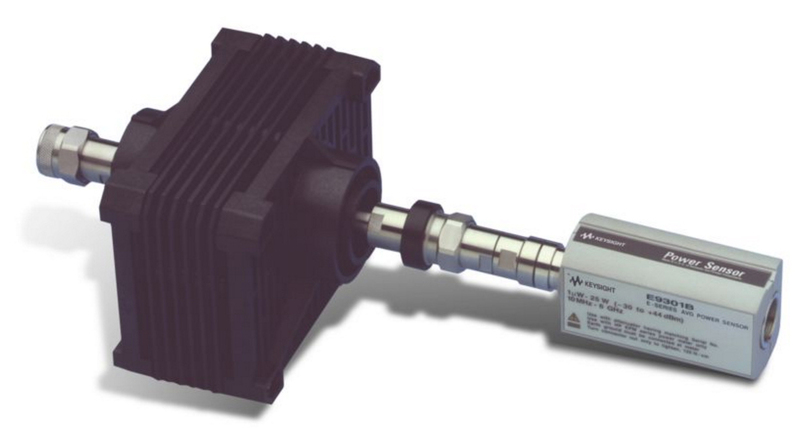 Agilent Keysight 8495B - Manual Step Attenuator, DC to 18 GHz; 0 to 70 dB; 10 dB steps Opt 001 Type N Connectors. 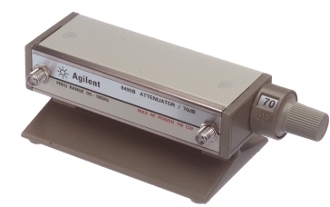 Agilent Keysight HP 8495G - 4 GHz 70dB Coaxial Step Attenuator. Option 001 type N connectors. 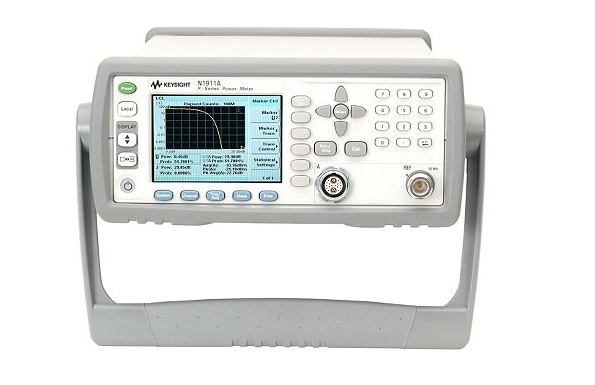 Agilent Keysight 86205A Directional Bridge. 300 KHz to 6 GHz. 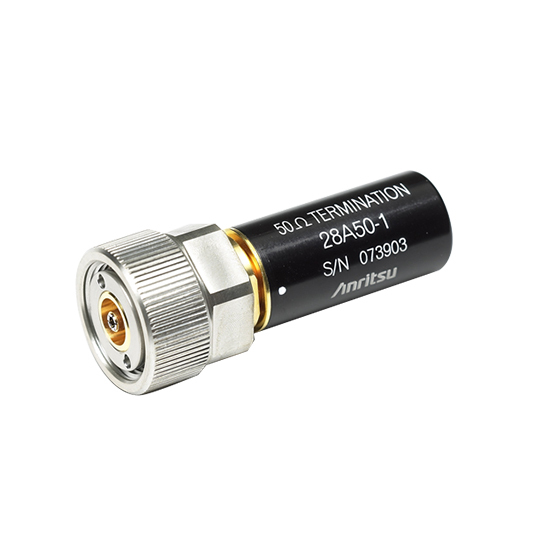 50 Ohm High Directivity, low insertion loss. 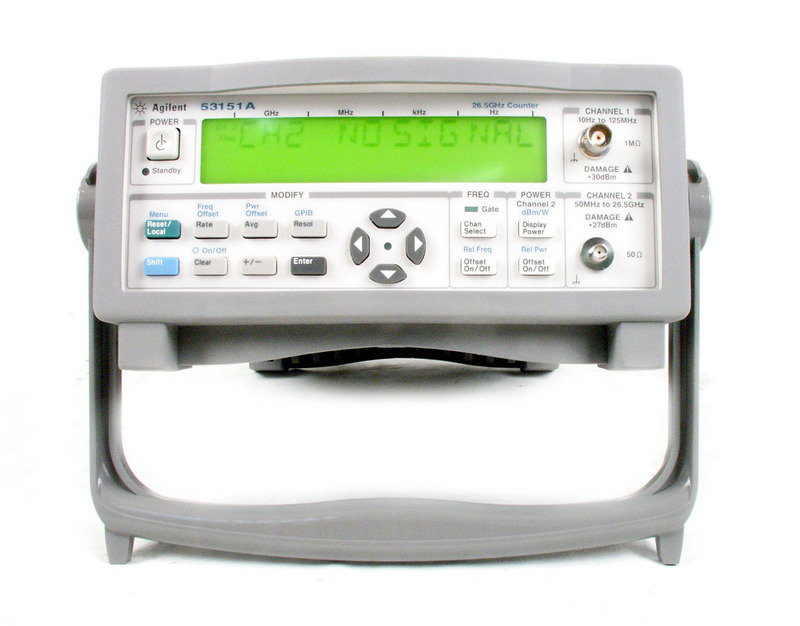 Agilent Keysight 86207A - 75 Ohm RF Directional Bridge. 330 KHz to 3 GHz. 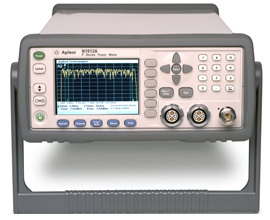 Keysight Agilent 8769M option 024 (24 VDC drive) Multiport Coaxial Switch, DC to 50 GHz, SP6T. 2.4 MM Female connectors (option 101 - standard configuration). 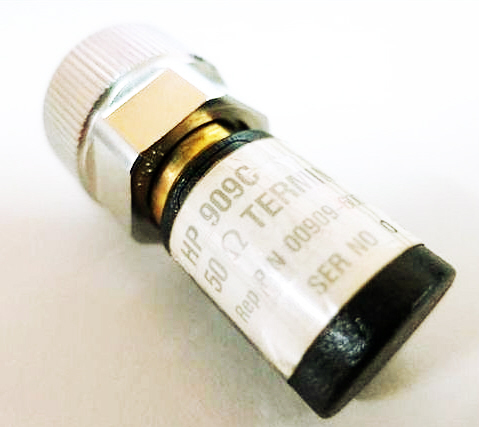 HP Agilent Keysight 909D Precision 50 Ohm Termination. DC-26.5 GHz. 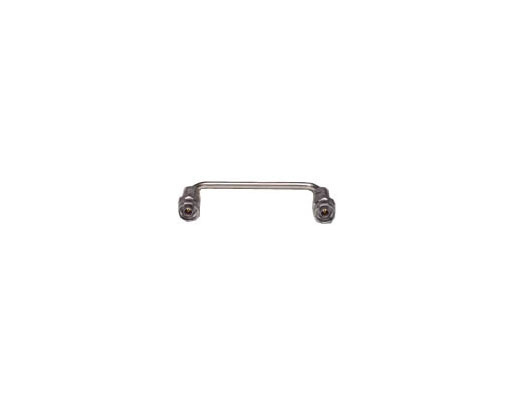 Option 301 - 3.5mm Male connector. 00909-60006. 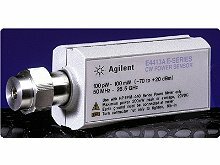 Agilent Keysight E4412A Wide Dynamic Range Power HPSensor,10 MHz to 18 GHz. 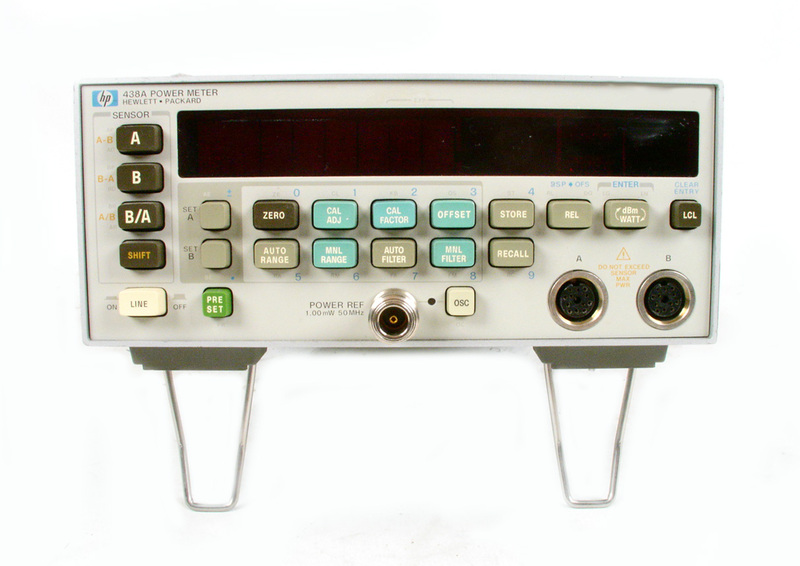 Agilent Keysight E4416A EPM-P Series Microwave Power Meter. Sensors sold separately. 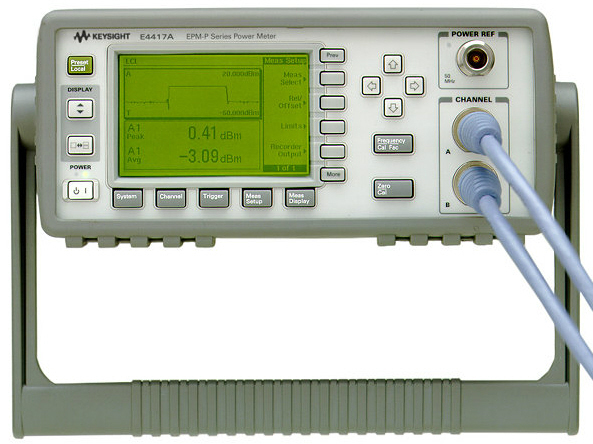 Agilent Keysight E4417A EPM-P Series Dual Channel Power Meter. Sensors sold separately. 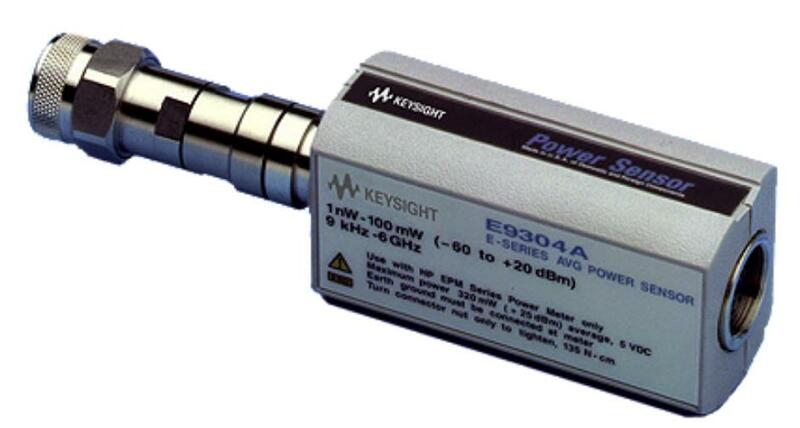 Keysight Agilent E9325A Peak and Average Power Sensor. 50 MHz to 18 GHz. -65 to +20 dBm. 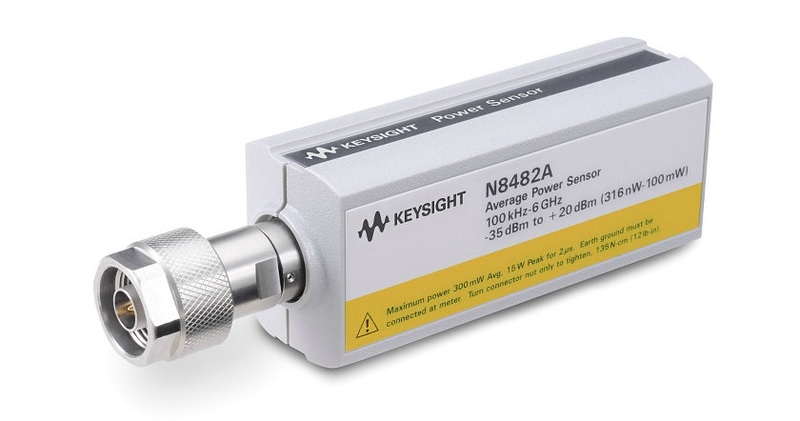 Keysight Agilent N8487A Thermocouple Power Sensor. 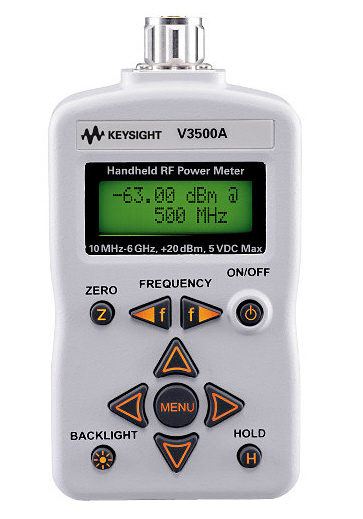 50 MHz to 50 GHz. -35 dBm to +20 dBm. 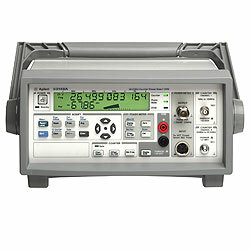 Compatible with EPM, EPM-P), and P-Series power meters. 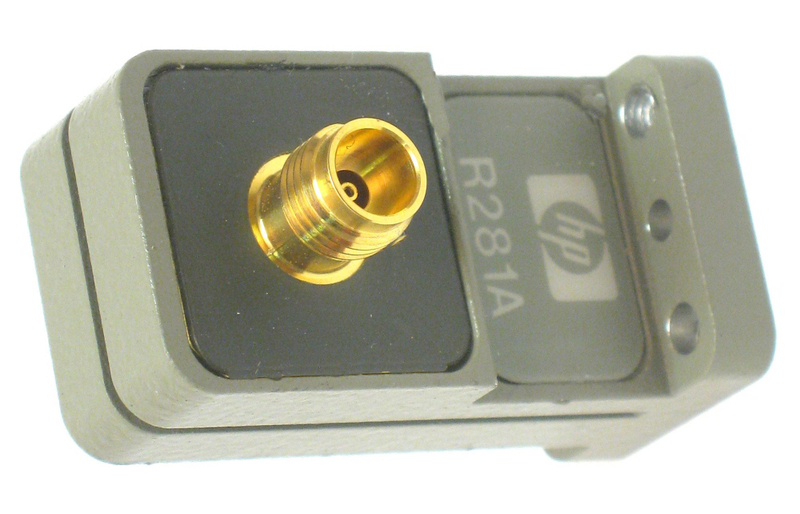 Keysight Agilent HP R281A WR-28 waveguide to 2.4 mm coaxial adapter. 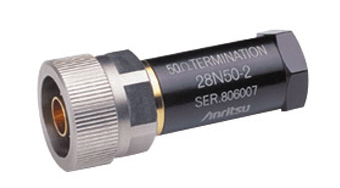 Anritsu Wiltron 35WR28K WR-28 waveguide to 3.5 mm (male) coaxial adapter. 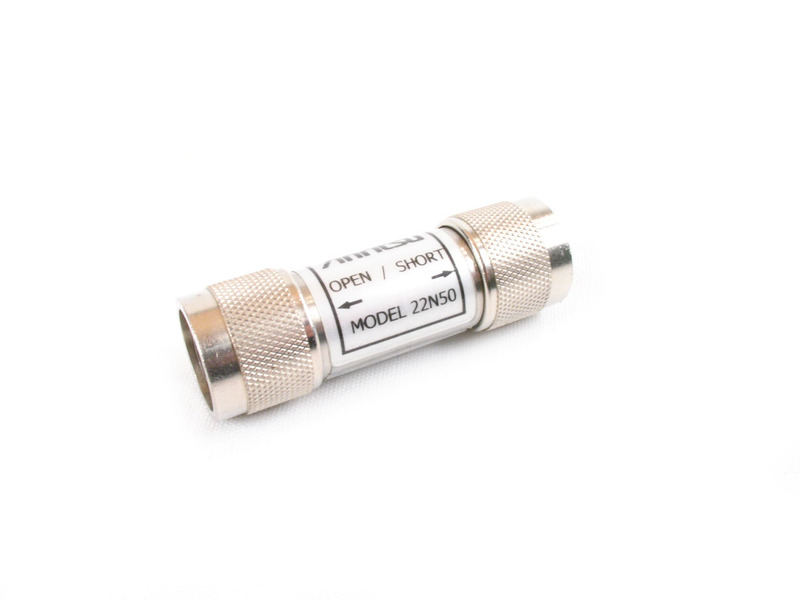 Anritsu Wiltron 35WR42K WR-42 waveguide to 3.5 mm (male) coaxial adapter. 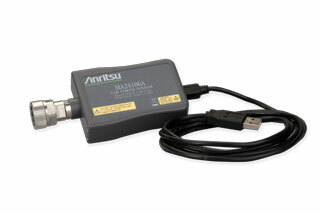 Anritsu MA24106A USB Power Sensor. 50 MHz to 6 GHz. -40 to +23 dBm. Anritsu MA2411B Pulse Power Sensor. 300 MHz to 40 GHz. -20 to +20 dBm. Anritsu MA24126A USB Power Sensor. 10 MHz to 26 GHz. 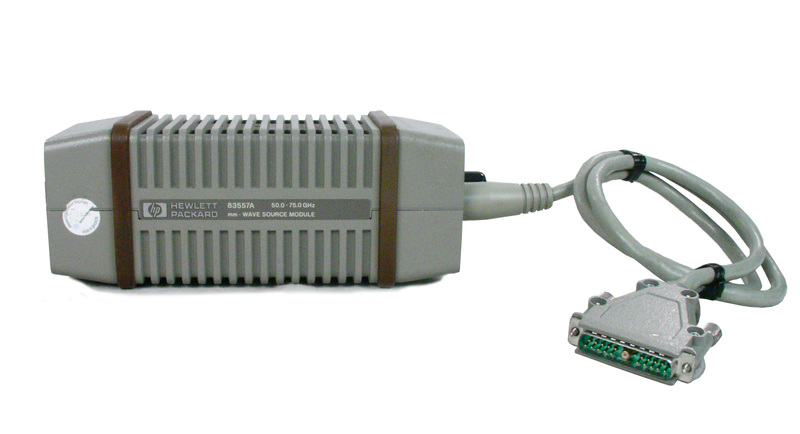 Compatible with Anritsu Handhelds, or interfaces directly with a PC.